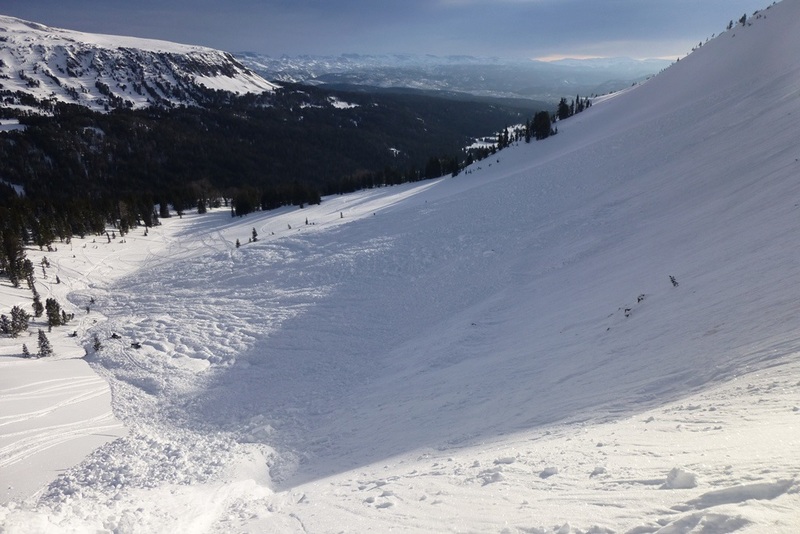 On January 17, 2014 a snowmobiler triggered a slide outside Cooke City on a northeast facing slope at 9,700 feet at the northern end of Henderson Ridge near Chimney Rock. The slide was approximately 500 feet wide, 300 feet vertical and broke 4-12 feet deep. The slope angles at the crown measured 36-50 degrees and the runout angle was 22 degrees. 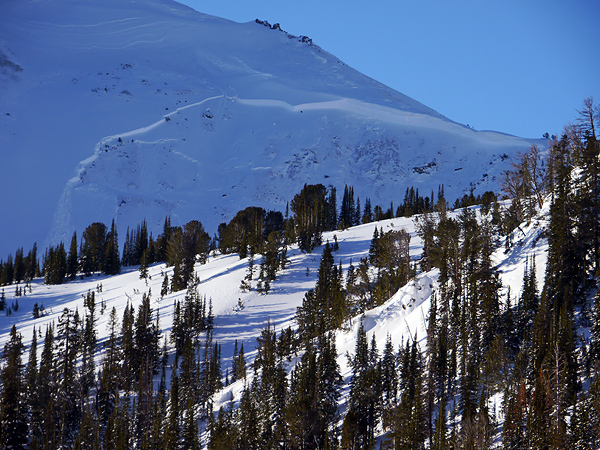 It was a large avalanche for this slope (HS-AM-O-R4-D3). The rider was buried, dug up, given CPR, revived and he rode away on his own sled. He and his machine were located on the right edge of the debris. 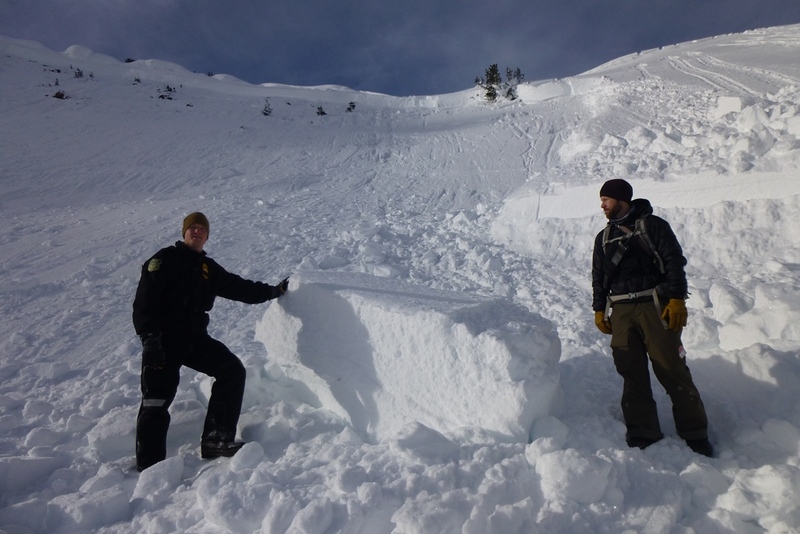 This avalanche was triggered by a snowmobiler on Friday afternoon (1/17). This slide occurred on Mt Henderson outside of Cooke City.